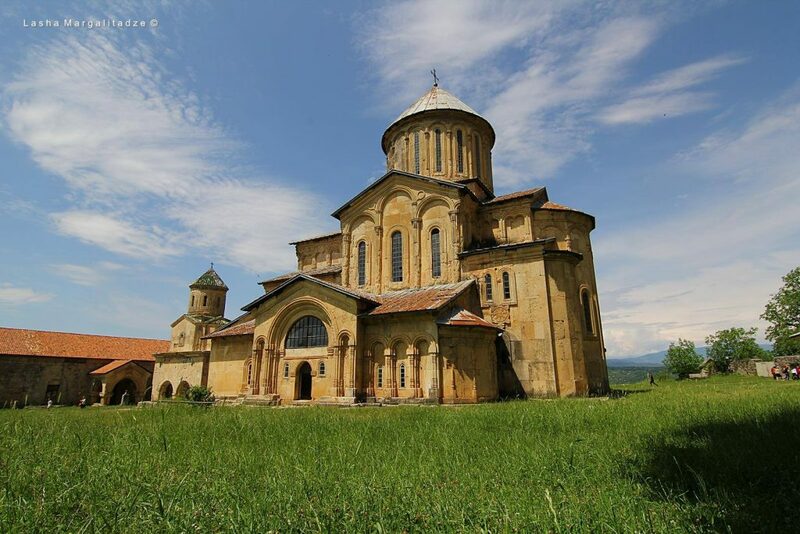 Historical capital of Old Colchis Kingdom and the second largest city of Georgia, Kutaisi is famous for Gelati Monastery and Bagrati Cathedral which are both UNESCO world heritage sites and most importantly for its hospitable people with a great sense of humor. Located 220 km from Tbilisi, it can be a base city to explore western Georgia as it is 240km from Georgia’s favorite region for hikers – Svaneti, around 140km from Batumi (black sea coastline), near from Racha, Guria and Samegrelo regions. If you are flying by wizzair (low cost airlines which flies from Europe for around 30-60 EUR), then Kopitnari airport is just 32km. From Kutaisi Airport to the city you can get group transfer by Georgianbus for 5 laris. But before you pack your bags for Beautiful Mountains of Svaneti or have fun at Black sea resorts, it’s worth exploring Kutaisi. Let’s start from the mandatory sightseeing, Gelati Monastery which can not be ignored unless it’s not extremely hot like 40c. Main Church of the monastery was built in 1106 by the King of Georgia David the Builder (the king who freed Georgia and Armenia from Turks and was author of many important reforms and the greatest victory in Georgia’s history – Didgori battle in 1121). 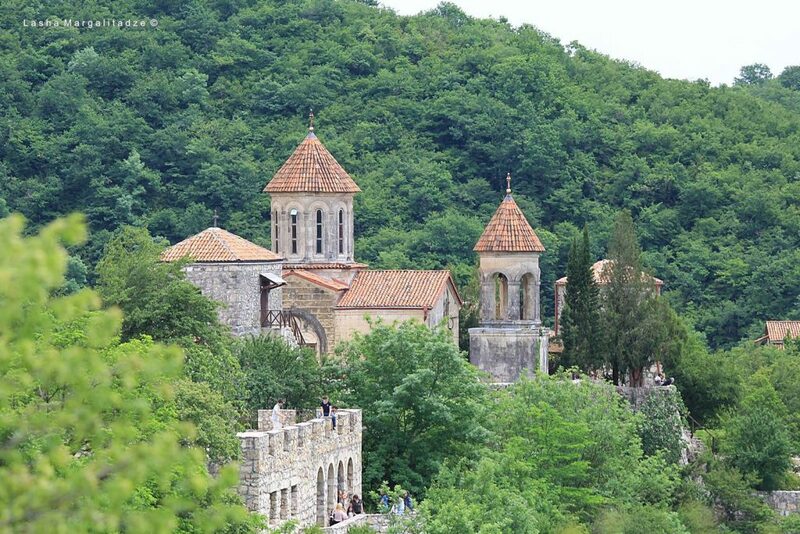 By that time starting from Arab occupation of Tbilisi, Kutaisi was the capital of Georgia till it was moved to Tbilisi by the same king who is buried now in Gelati Monastery. Georgia’s greatest king’s wish was that everybody could step on his grave as a symbol of his repentance. Near his grave are the gates of Ganja (the capital of Azerbaijani Khanate), which were taken as trophies by his son king Demetrius I in 1138. Gelati is famous for its architecture, frescoes and one of the oldest scientific and religious academy. You can get to Gelati Monastery by car (13.2km) or Busses which are leaving from behind the theatre at 8 and 11 AM; at 2, 4 and 6 PM. Cost 1 Lari. Duration of the ride 20 to 25 minutes. Returning to Kutaisi should not be a problem as there are many marshrutkas on the main road coming from surrounding villages that pick up passengers. Just wave and they will stop and pick you up. If you are interested in, there is another Monastery near Gelati. Motsameta Monastery is named after martyrs who fought against Arabs in the 8th century. It’s beautiful, with an impressive view to canyons of Tskaltsitela gorge. Especially recommended to be visited in Autumn colors. You can also walk in the city. There are some nice districts (for example central district near the white bridge, Gora Park, Central square, etc). There is Mcdonalds with free wi-fi at the bus station from where Tbilisi buses depart. There is new building of Parliament which can be visited for photo if you have too much time. 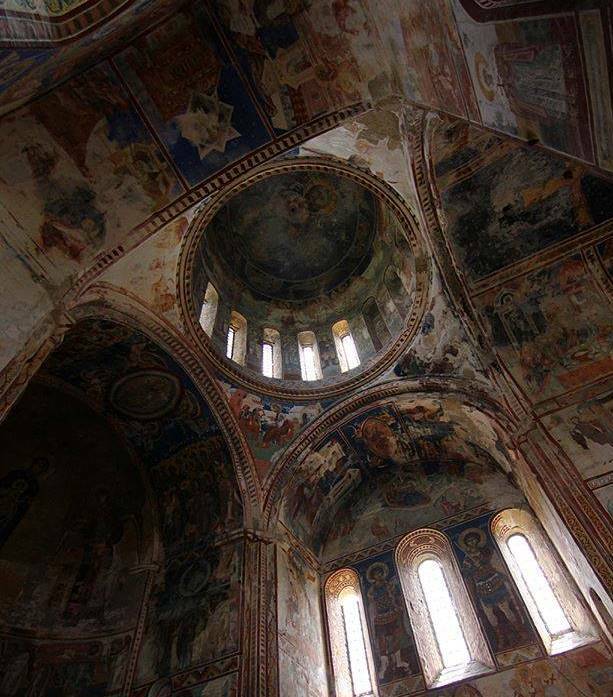 But the most important sightseeing inside the city is another UNESCO world heritage site Bagrati Cathedral (11th century) which was in ruins until recently (2012) and looked more impressive than currently according to many Georgians. You can walk to the cathedral even at night. Other sightseeings around Kutaisi definately includes caves of Prometheus and Sataplia on which I will write in the next post. 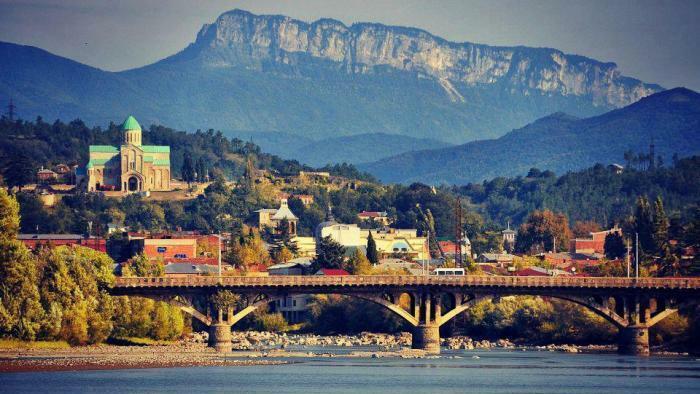 I am interested in staying for a few months in Georgia and thought Kutaisi would be a nice place to live on a daily basis. Do you know if it would be easy to find a furnished flat to rent ?